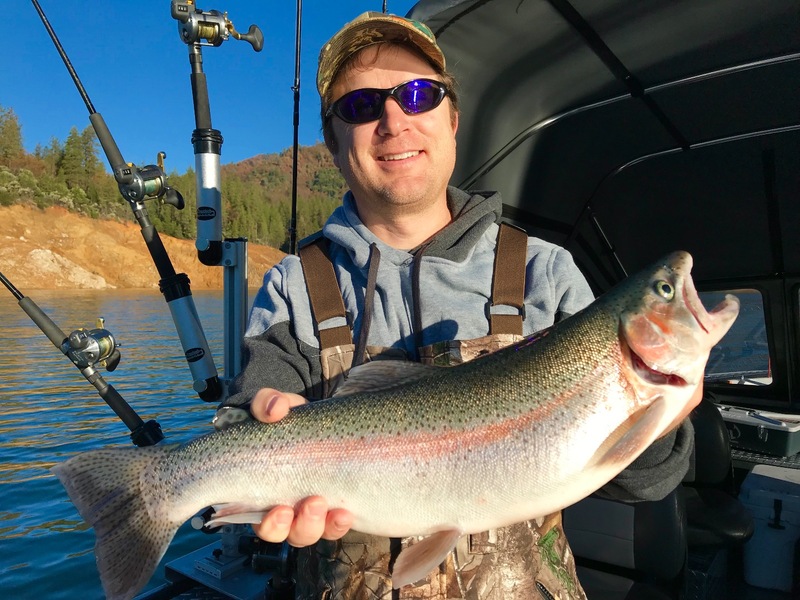 Sac River Kings and hatchery steelhead! 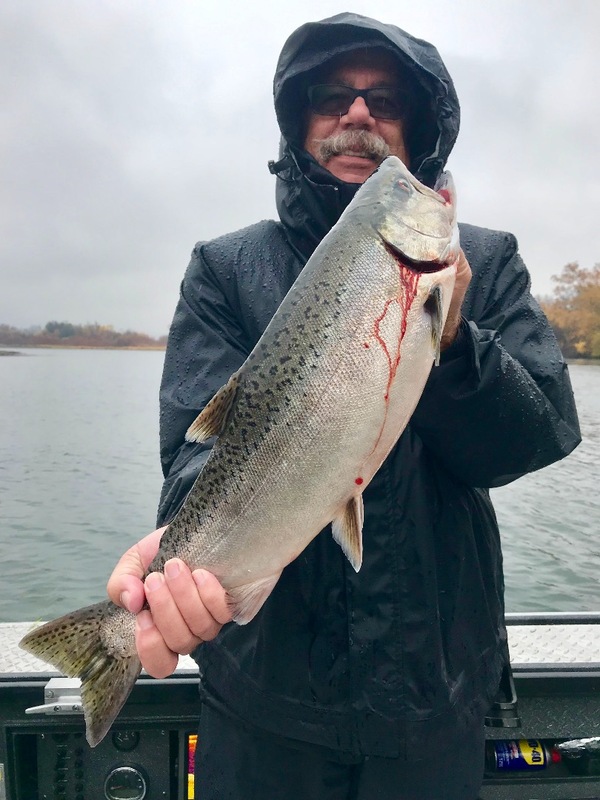 Sacramento River King salmon on a cold, wet, and windy day! Lots of bright salmon and steelhead in the Sac River, but closes to salmon fishing in two weeks! Lets go! Today we fished in heavy rain on Sac River in Anderson and theres definitely a bunch of fish swimming around in the Barge Hole. We ended the day with some bright Kings and a few Hatchery steelhead just in time to dodge the heavy south winds. On those cold, wet days on the water be sure to drop into Roosters accross the street from the Balls Ferry boat launch for a burger and a beverage while warming up next to their wood burning stove. Todays clients were already warm and dry when I brought them their salmon and steelhead fillets. River closes to salmon fishing in two weeks! I have some days available between now and then so give me a call if you want to catch some late fall Kings! 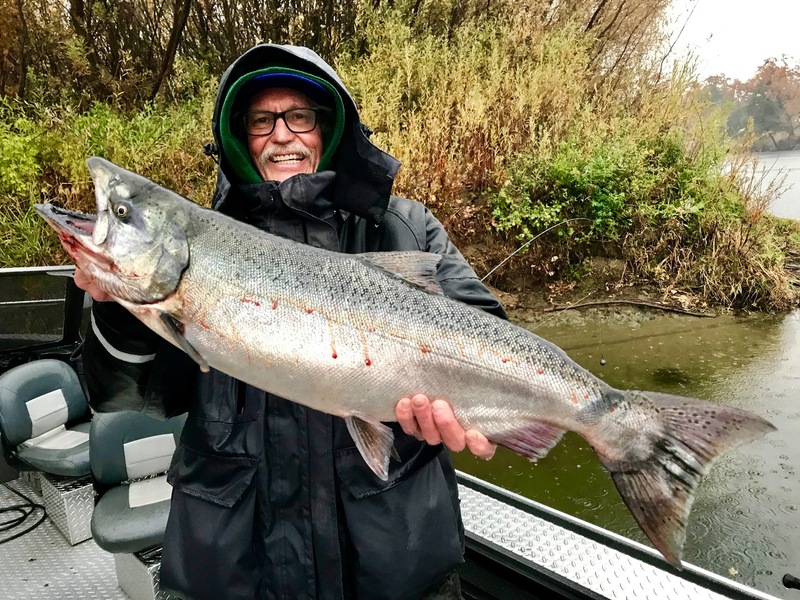 Sacramento River - Lower: Last call for late fall King's! Shasta Lake: Shasta Lake rainbows linger in the lower lake. 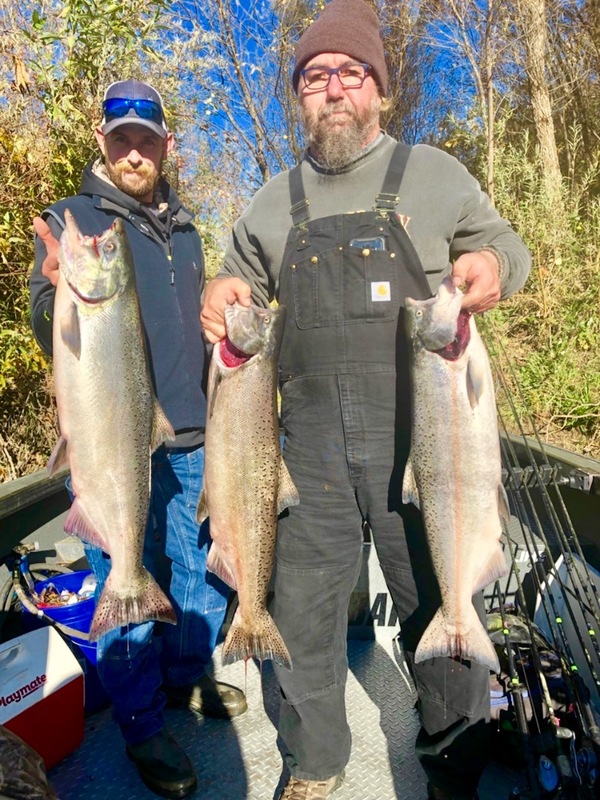 Sac River late fall fishing rolls on!